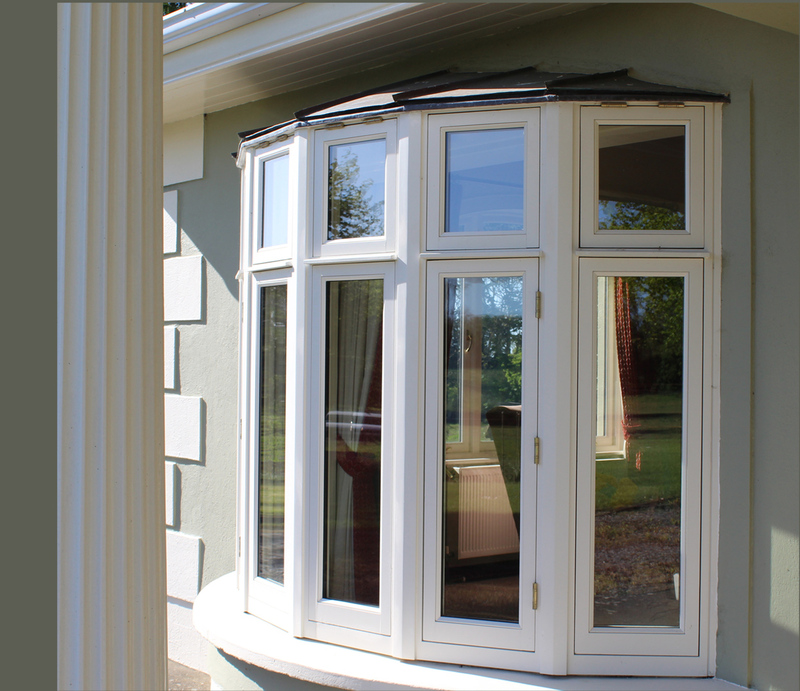 A casement window has a casement sash attached to a timber frame by hinges on one side and opens outwards or inwards. Casements are usually hinged at the side but they can be hinged at the top or the bottom of the window. Casement windows can be locked and opened with either an espag or fastener handles and are often held open using a casement stay. In general, there can be up to 6 panes per casement, with each pane separated by glazing bars. There can also be multiple casements in a frame. 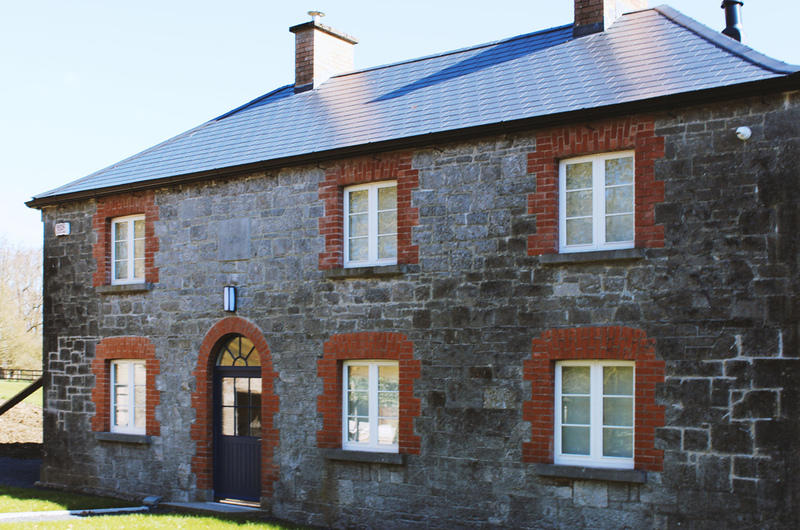 Casement windows started appearing in the 17th century around the UK and Ireland although at this stage they were made up of iron with lead used as lattice work across the glass. Around the early 1800s both casements and their frames started to be made entirely from timber. The fact that there isn’t as much timber in casement windows means that they are superb at lighting up rooms. Because of their draught sealing system, casements are air tight when closed which means they have very low air leakage rates. Their ease of use and lower cost are also advantages to be noted. 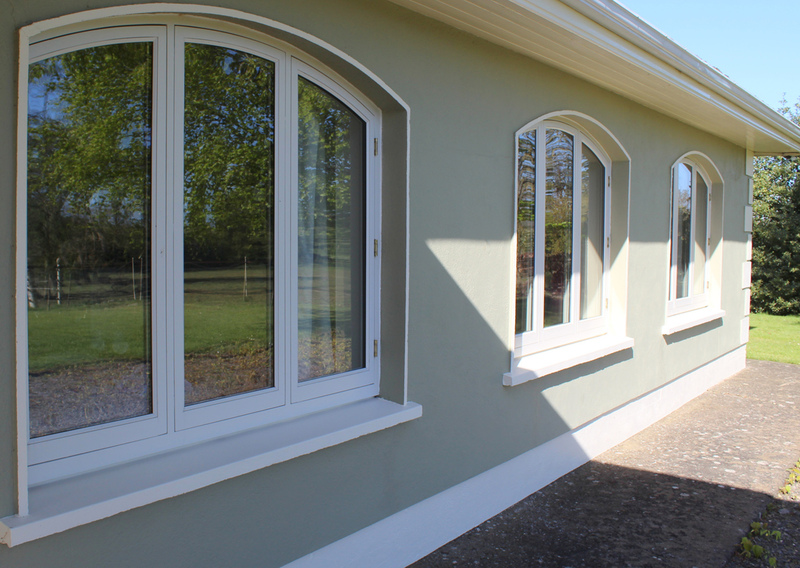 A combination of these reasons has helped casement windows to become the prevailing style of window in Ireland. Our people, our craftsmanship, our quality product and aftercare are just some of the many reasons people choose Timeless made windows. Unrivaled draught sealing techniques with the highest rating in the industry. All of our windows are hand crafted in time honored techniques incorporating modern draught sealing features. All of our double-glazed units come with warm edge Swiss V spacer bar which is made from an insulated composite plastic material. This spacer bar also helps improve the energy efficiency of the overall window. E soft coated glass is standard in all of our products. E soft is a microscopically thin transparent coating. This coating helps improve the U Value of the glass and also acts as a barrier for heat loss. Because our products are hand crafted, we can customize any section size. Architects require this for new windows to match the old windows in a specific building. We use the highest quality materials and all our staff are highly skilled craftsmen ensuring that you get the Timeless Casement Window that you dream of. There are many unique benefits of our products. Our people, Our craftsmanship, our Quality product and aftercare. Our Flush Casements performance equal if not outperform a storm proof casement due to our intrinsic locations of draught seals, and the high quality materials used and the overall energy efficiency of the window. •	Draught Proofing - Classification 4 from the BS EN 12207:2000 & BS EN 1026:2000 Standards. This is the highest and best classification you can achieve. •	Splicing with Accoya timber which is virtually rot proof with 50 rot warranty and highly stable allowing for coatings to last up to two time longer than other types of wood. • Slimline Glazing System - a recent innovation here at timeless sash window. This system allows you to retrofit slimline double glazing into your existing sash where you may have a glazing bar as slim as 16mm in width. • All our double-glazed units come with warm edge Swiss V spacer bar which is made from an insulated composite plastic material. This spacer bar also helps improve the energy efficiency of the overall window. • As standard in all our windows we use low e soft coated glass, this glass is coated in la microscopically thin transparent coating. This coating helps improve the U Value of the glass and also acts as a barrier for heat loss. Having being in business for over the last forty years, we can boast of having worked on some of the most prestigious buildings in Ireland. Much of our business is from client referrals who’s expectations we have exceeded. Our windows have and continue to stand the test of time. Our surveyor are very knowledgeable with many years experience in conservation best practice. We will always offer you the best solution even if it result in the project been not the right fit for our company. We always put our customers first. Our team are constantly learning and keeping up to date with the latest regulations and energy efficiency policies therefore giving the best possible advise to our customers. Our staff always put our customer first and are always at hand to offer advise. If there are any after care queries we are always happy to provide advise on how to maintain your windows. Our customers are always the focal point when making all decision from CEO level right through to the factory floor and fitting team.